When it comes to choosing the best air conditioner for your home or office, the inverter and non inverter air conditioner are the most popular choices. So if you’re ready to beat the heat this summer, you are not alone. Millions of air conditioner units are sold annually and an average household spends more than 10 percent of its utility bill on cooling units alone. This begs the question how to choose the right air conditioner unit. There are various factors that may influence your decision but one of the most important things to consider before buying one is how to choose between the two technologies: inverter and non inverter. Both the systems excel in terms of performance and offer similar functions when it comes to cooling but they differ in the type of compressor motor they use. Let’s take a look at the two and understand the technological difference between them. An inverter air conditioner unit has a variable speed compressor motor that adjusts the refrigerant flow inside the unit to control its cooling and heating capacity as required. The speed of the compressor motor in an inverter unit is directly proportional to the frequency of the power supply. 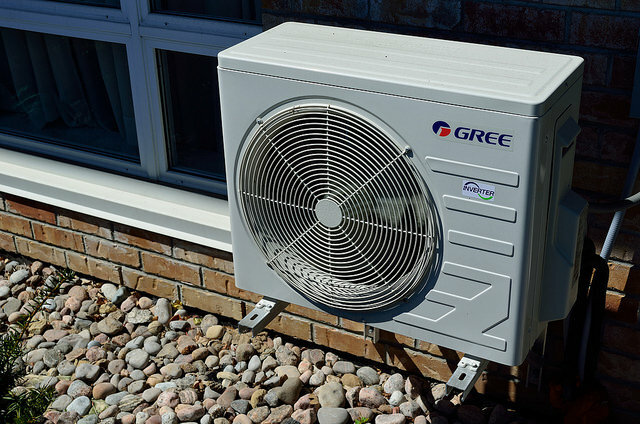 It uses a variable-frequency censor to control the speed of the motor which in fact regulates the refrigerant flow inside the unit to provide just the right amount of cooling or heating as needed. This eliminates the frequent start-stop cycles thereby increasing energy efficiency of the unit on a long run. What is a Non Inverter Air Conditioner? A non inverter air conditioner unit has a fixed speed compressor motor. Unlike inverter units, they work on an “all or none” principle meaning the compressor automatically goes on and off rather than running at a full speed all the time. The compressor automatically switches off when the desired temperature is reached and starts again when the temperature increases. Because of the frequent on-off cycles, the compressor always works at high power which creates a whole lot of noise while running thereby consuming more electricity at times making them less energy efficient than their inverter counterparts. An inverter, in general, is a device to change the type of current from AC to DC or vice-versa. In terms of air conditioner units, an inverter is used to control the power supply frequency of the compressor motor to adjust the cooling/heating capacity of the unit. An inverter air conditioner contains a variable speed compressor that regulates the temperature to provide just the right amount of cooling and heating as needed. A non inverter air conditioner, on the contrary, has a fixed speed compressor which works on an “all or none” principle meaning it switches on and off when required. 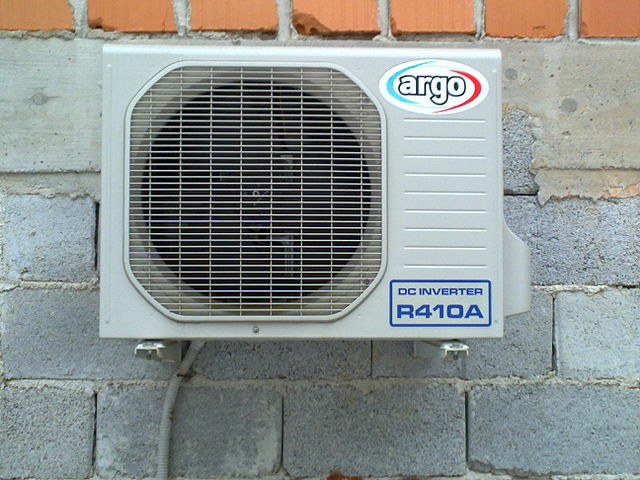 An inverter air conditioner adjusts the speed of the compressor to control the flow of the refrigerant in order to regulate the conditioned-space temperature as required. When the unit is switched on, the compressor inside the unit runs at full speed all the time without starting and stopping frequently. This ensures precise cooling or heating power as required. A non inverter air conditioner delivers a fixed amount of power based on the room temperature. This makes the compressor go off when the desired room temperature is reached and start again when the temperature increases. The main difference between the inverter and non inverter air conditioner is the way they operate around room temperature. The cooling and heating is an automated process in inverter air conditioner units as the censor inside the unit adjusts the power supply according to the room temperature which automatically reduces the electricity consumption thereby making it more energy-efficient than its non inverter counterpart. A non inverter unit goes on and off any time to keep the temperature within a certain threshold limit around the room temperature making it less eco friendly. An inverter air conditioner heating/cooling capacity varies depending on the room temperature and the outdoor temperature. Because the compressor inside the unit doesn’t go off and on as frequently as its non inverter counterpart does and it keeps working at a moderate temperature all the time, it’s a lot quieter in operation. A non inverter air conditioner is less efficient when it comes to operation because they automatically turn on and off all the time, thereby creating a whole lot of noise than the inverter unit. It works a little harder because of its operation hence contributes to more noise. The quieter and smoother operation and energy efficient technology only add up to the cost of inverter air conditioner units. They are the latest of the technology used in the air conditioner units against the non inverter types which put the inverter ACs a little more on the higher side when it comes to pricing. Inverter air conditioners are a little more expensive than their non inverter counterparts which are significantly less pricey. However, installation of a non inverter AC unit will probably cost more than what an inverter AC will cost. The bottom line is, the non inverter air conditioner units might be a little less expensive when compared to the inverter air conditioner units, but they are less reliable and more expensive to maintain and manage. Inverter units are the latest in the air conditioning technology that use inverters to control the speed of the compressor thereby eliminating frequent on-off cycles which eventually increases efficiency thereby increasing the life span of the components of inverter AC units. While the initial costs may get a little higher against the non inverter units, the higher expense is an offset against energy consumption which makes them the most preferred choice of air conditioner units. Sagar Khillar. "Difference Between Inverter and Non Inverter Air Conditioner." DifferenceBetween.net. 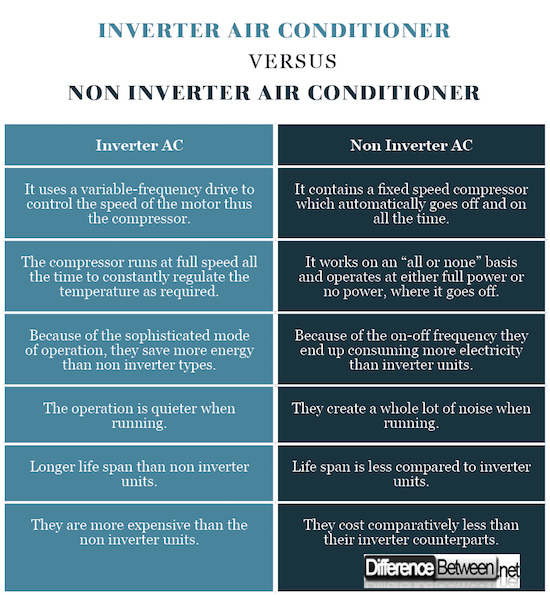 May 17, 2018 < http://www.differencebetween.net/technology/difference-between-inverter-and-non-inverter-air-conditioner/ >.